FAU researchers are developing a new material system that can be used in efficient and durable solar cells. The semiconductor perovskite is considered to be particularly well-suited to converting sunlight into electricity. For instance, the material itself is particularly easy to process. While standard semiconductors such as those made of silicon are either drawn from a melt or are precipitated in high-vacuum systems, perovskite can be deposited from solution at room temperature, for example in printing and coating processes. This produces solar cells that are as thin as clear plastic sheets and extremely flexible. They can be manufactured in transparent form or in a range of colours, as well as cost-effectively and at great speed. These characteristics also make them suitable for use as design elements in architecture, for instance on facades or in windows – unlike crystalline solar cells. Using a thin layer of tantalum tungsten oxide nanoparticles the FAU team has now succeeded in further increasing the efficiency of the material – by up to a remarkable 21.2 percent. Researchers have previously been unable to match this level of efficiency in the case of this useful construction component. ‘It was by precisely understanding the processes that occur at the interface of perovskite that we managed to achieve this breakthrough,’ explains Professor Brabec. ‘The challenges we face in the future are far more demanding, however.’Headed by Christoph Brabec, the ‘Solar Factory of the Future’ group at the Bavarian Center for Applied Energy Research (ZAE Bayern) has already started to develop roll-to-roll printing processes with the intention of scaling up the perovskite technology, initially into the megawatt range. 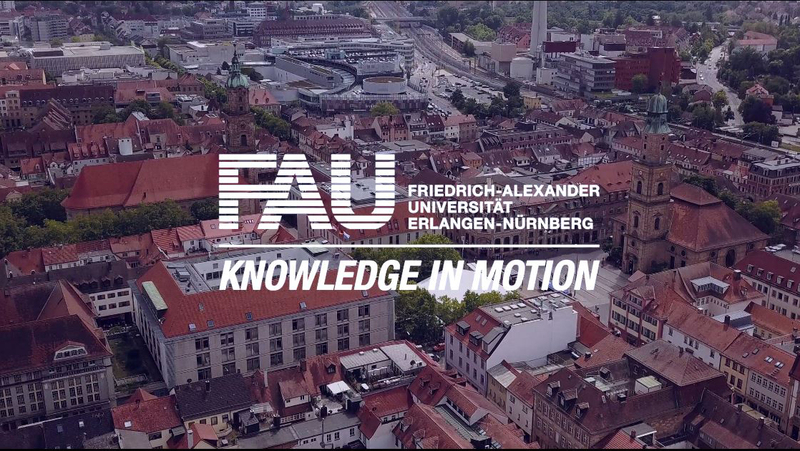 Further developments in this particularly promising field of research are to be undertaken as part of FAU’s Cluster of Excellence project ‘Engineering of Functional Material Interfaces’ (FUMIN), which has been invited to submit a full proposal. In just a few years, researchers from FAU and ZAE Bayern are hoping they will be able to print solar modules that have an efficiency comparable with that of silicon-based systems – and which are large, flexible and extremely cost-effective.